Contemporary Japan always conjures up an image of hustle and bustle of cities, a heavy con-centration of financial institutions, a cluster of well-developed commercial and communication infrastructures and prowess at electronics and technology. These stereotyped characteristics, however, are far from sufficient and tangible for visitors to understand the genuine and intrinsic beauty of this country. Japan’s fascinatingly-built heritages, long-retained traditions, prestigiously-known culture and unspoiled nature are of outstanding universal value which undoubtedly commands our great admiration. “Mameda Town”, a former imperial domain governed by the Tokugawa Shogunate in Edo era (1603-1867) and a conversation zone for important traditional buildings of Japan designated in 2004, is the best-preserved example representing the lustrous past of Japan, due to its quaint and magnificent townscape with remnants of its glory days. Fully deserving of its heritage sta-tus, more and more visitors from other domestic regions and overseas flock to this ancient quar-ter. As a foreign resident having lived in the neighborhood since 2014, I am very glad to introduce the historic “Mameda Town” (an alternative name called “Little Kyoto”), a picturesque place not to be missed when you visit Kyushu. Mameda Town is situated in the city of Hita, Oita prefecture in Kyushu (the southern area of Ja-pan). The city, praised as “Suikyo Hita” (Home of water), is renowned for its favorable geo-graphical location, presenting as a natural basin surrounded by numerous green mountains while benefiting from a bountifulness of seamlessly flowing water along Mikuma River. Hita, often named as “Tenryo Hita”, was a former imperial domain governed directly by the To-kugawa Shogunate, the central authority of Japan (“Bakufu”) during Edo period (1603-1867). Performing as the most prosperous center of Kyushu in terms of politics, economics, and cul-ture, Hita was once a very flourishing hub bustled with wealthy merchants and samurai (warri-ors), as well as a rich cultural spot nurtured by academic intellectuals. In Mameda town, you do not have to rush yourself, but go for a saunter down the tranquil and quaint alleyways at a slow pace. When standing in the midst of those wondrous streets rich in variation while maintaining its original layout in old days, try to imagine what it must have looked like back to the Edo era. Every individual old building does have its own story from the past. 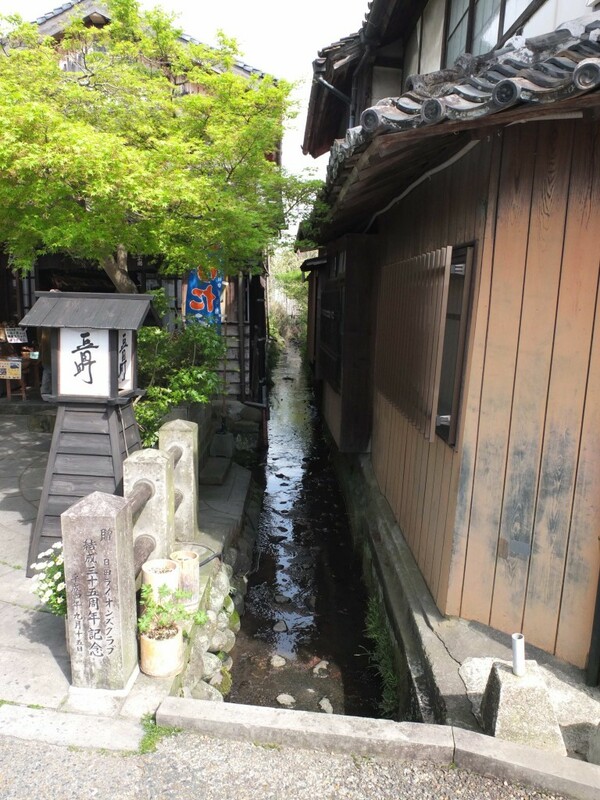 Even some small detail like a narrow river nestled between houses was once where “samurai” (warriors with superior social status in Edo period) traveled through the town and shared a common practice to clean their faces by this seamlessly flowing water. From Edo period until today, buildings are still around without being washed away by waves of time, but no longer seen are people of the past who have hustled the same place from one era to another. However interesting it might be, I was not so obsessive about visiting museums in other coun-tries. Whereas Japanese museums and galleries, to a large extent, do impress me. Let’s take the museum in Mameda Town as an example. Rather than describing it as an ordinary museum, a typical and tedious indoor exhibition of thousands of drawing, artifacts or calligraphy, the Japanese museum here emphasizes its artwork displayed and paired impeccably with its magnificent architectural style from Edo period, as well as an art of gardening to keep the garden as natural as possible by planting flowers, trees, and shrubs, or presenting a pond with live fish. The artwork exhibition, architecture, and garden are in harmony and perfectly arranged as a whole. This natural scenic beauty never bores people but becomes more appealing and picturesque, especially during a sunny and breezy day. My top preference in Mameda Town would be “Kusano House”, the old merchant residence site built in 1641 designated as a national important cultural property in Japan. Unfortunately, its opening to the public is merely scheduled in four specific periods a year and recently the site is even under renovation. Discover the old Edo-styled craft museum nestled in this historic town since a few centuries, the house where the famous Confucian philosopher Tanso Hirose was born and once served as a school of finance and economics in Edo period. Learn about an abundance of priceless original documents, exquisite artifacts, furniture and other treasures from Hirose’s family, the wealthy merchants and financial officer who collected tax and dealt with Shogun’s budget in Edo period. 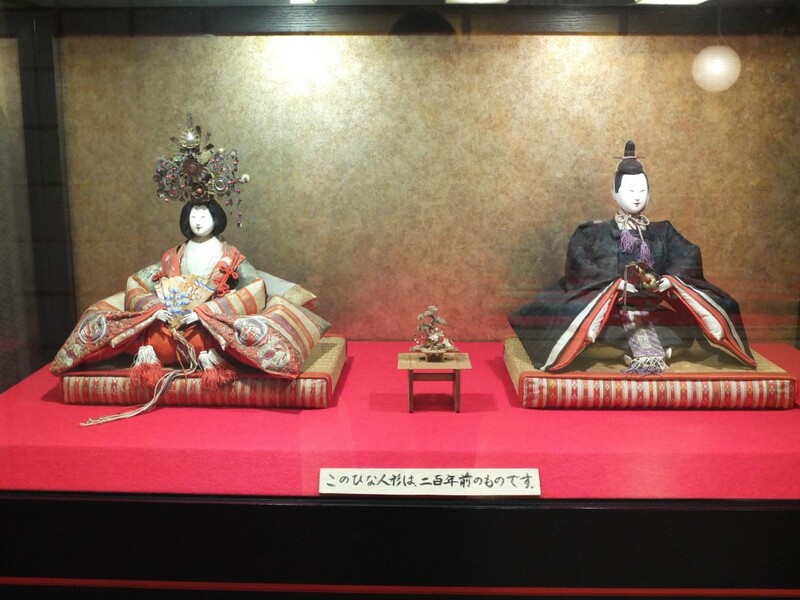 Visit the place to see a collection of gorgeous traditional Japanese “Hina Dolls”, a total amount of 3,000 hand-made and beautifully dressed dolls, representing members of the ancient imperial court like the Emperor and the Empress, eminent lords, servants and so on. Being well-preserved and exhibited on tiers of shelves in various Japanese traditional rooms, the dolls have very precious value and some were produced during the Edo period. 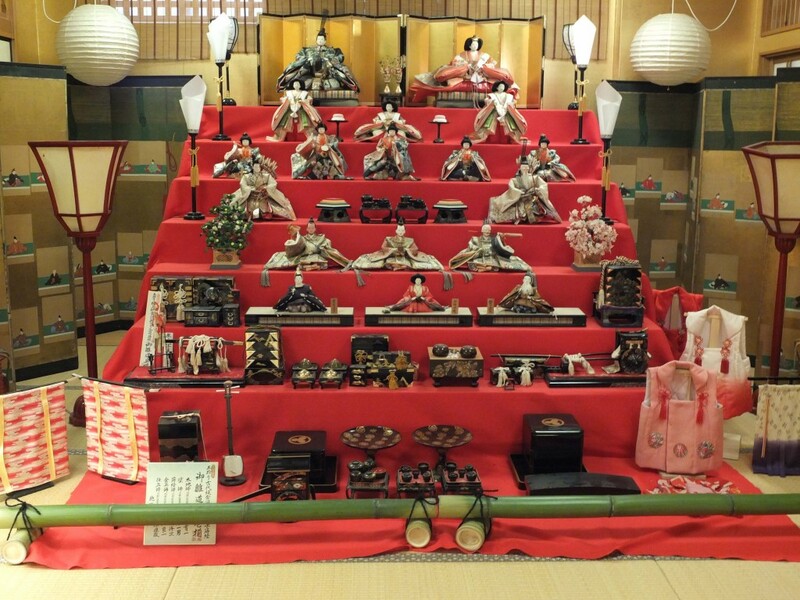 Local people embrace “Hina Matsuri” (Doll Festival) which is held in March every year and a col-lection of up to 200 Hina Dolls are displayed to the public. If you miss this traditional festival, “Tenryo Tina Dolls Hall” will undeniably be your great choice to see the adorable Hina dolls available all year around. Venture this free-entry old sake brewery museum established in 1702. Learn about the story of traditional Japanese sake manufacturing namely a long-standing method utilizing domestically produced rice and high-quality underground sweet water. 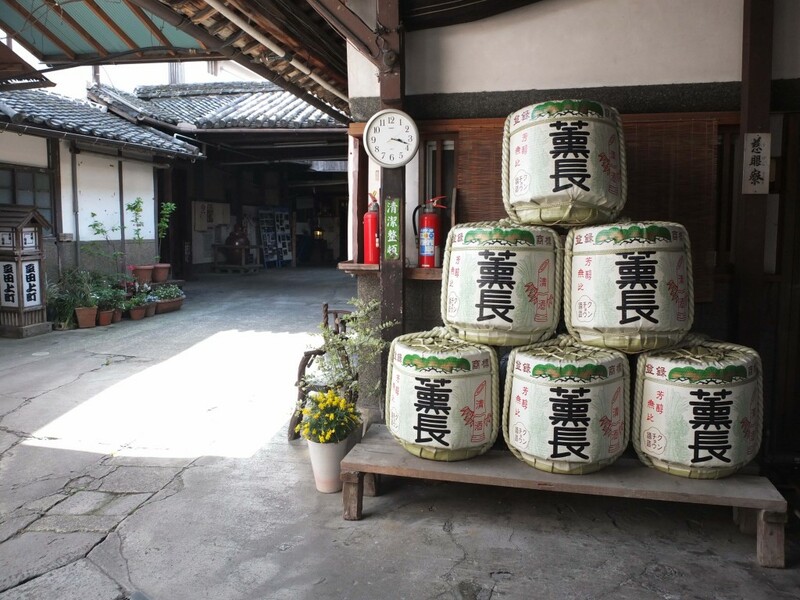 Don’t miss the opportunity to savor a free fresh sake and enjoy a factory tour upon request. Chill out in their cafe and order a delicious frozen yogurt “Ginjo Ice”. It is also a great idea to purchase a bottle of superior Japanese Sake exclusive to this factory at their on-site shop. 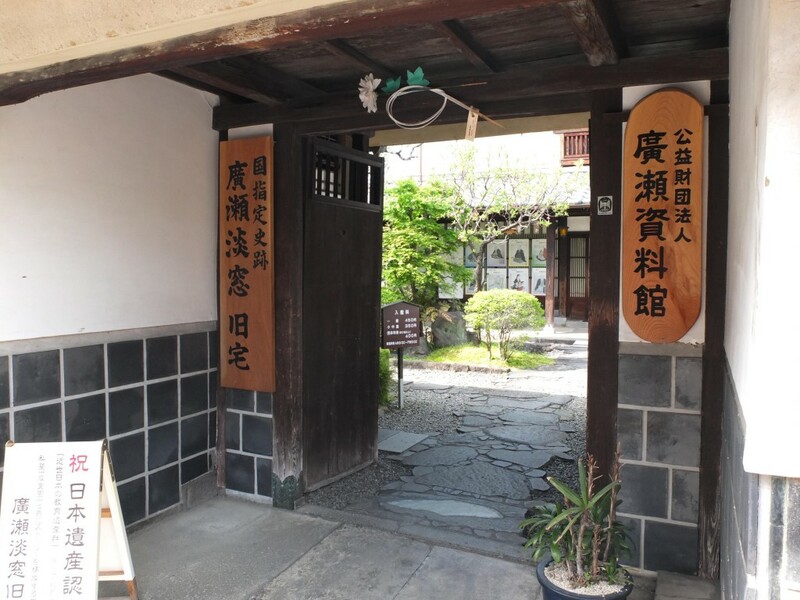 Visit the Nigongan Medicinal Museum, the oldest pharmacy in Oita Prefecture. 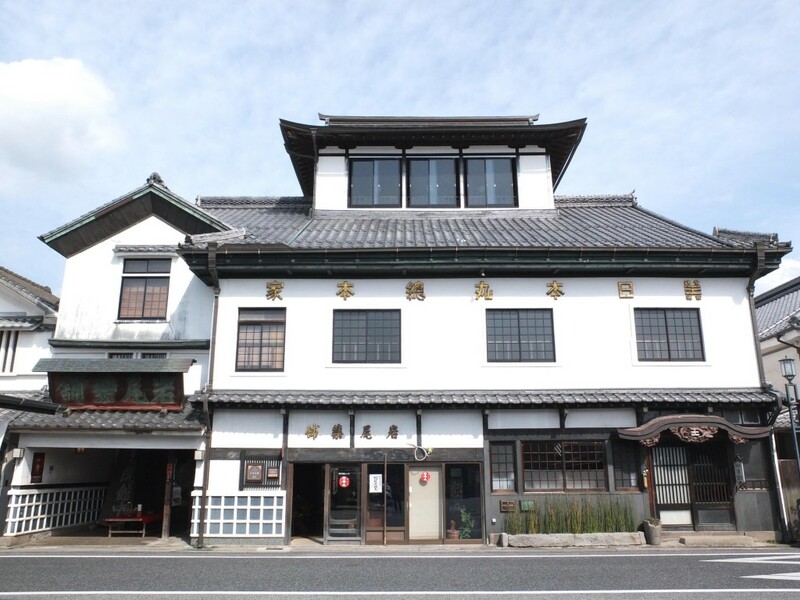 Not only is it a store of popular local pharmaceutical brand “Nihongan” selling medicine which began its business in 1887, but also a museum to exhibit vintage medicine production tools and equipment. Moreover, the building itself is magnificent, being retained since Edo period. Get a full panoramic view of the city as you reach the top floor. Without purchasing any souvenirs, the journey becomes imperfect. Some people like me put shopping as our top priority when traveling. In Mameda Town, a bewildering array of stores selling dainty and exquisite goods line in a row, seducing visitors to stop walking and step into their shops. It would be wiser to grab and buy something back home or else you would regret. I love to purchase beautiful tableware which can magically create a more delicious and tempting look into my meal. 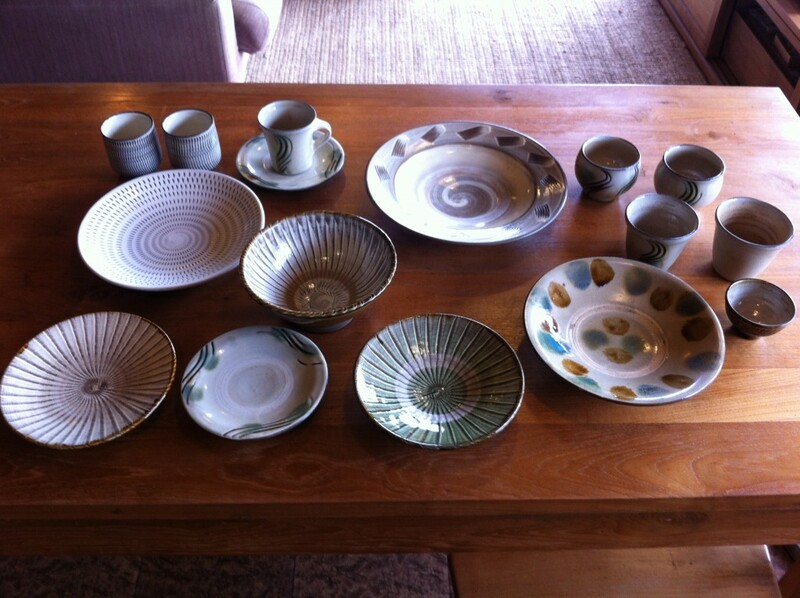 In particular, Japanese pottery, the traditional ceramics ware, is the most enchanting. Those light brown or light green colored and specially-designed pottery in irregular patterns always reminds me Japan’s unspoiled nature with trees, forest, and mountain. I just cannot wait to fill some Japanese pickles or other colorful local vegetables onto it. Besides, nothing can look more impeccable than a pottery cup filled with Japanese green tea. 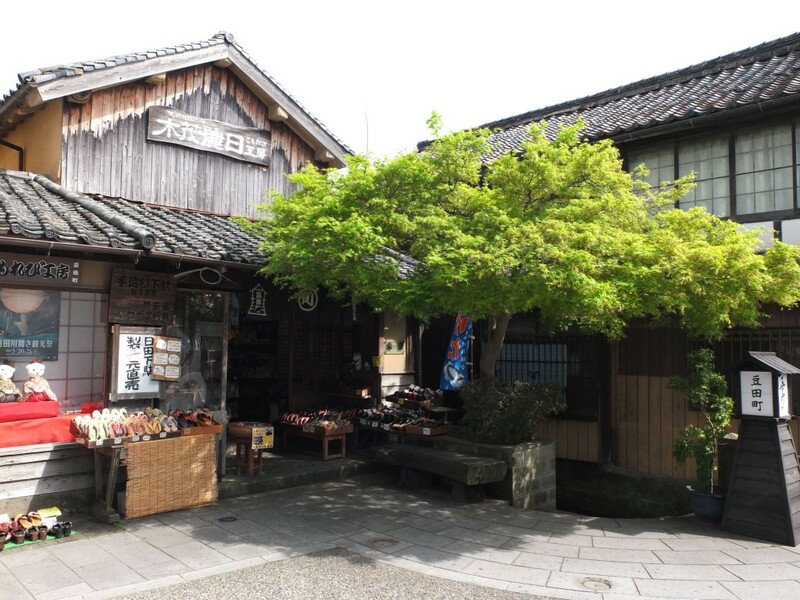 In Mameda Town, don’t miss a pottery store called “Ohara Ontayaki Shop”. It exclusively sells “Ontayaki” pottery. Since 1705, the traditional skills of “Ontayaki” have been passed down from generation to generation, in secrecy of the craftsmen’s families. “Ontayaki” techniques were designated as National Important Intangible Cultural Property and has won a grand award at an international pottery exhibition of Europe. The pottery for sale includes a diversity of utility vessels such as bowls, plates, tea cups and small pots. Alluring and dainty as it is, every single piece is also unique and heavy-duty. Somehow you might need little extra efforts to pack the fragile pottery into your luggage. However, it deserves as you will be enjoying the marvelous look and distinctive function of your pottery carried all the way from Japan. Many friends of mine are fond of Japanese “Geta”, the traditional Japanese sandal featuring an elevated wooden base with a fabric thong to keep the foot well above the ground. There are types of clogs and flip flops. In terms of function, it is very comfortable, versatile and durable. More significantly, it is no longer only worn with traditional Japanese clothing like kimono or yukata, but can go perfectly with our apparels nowadays, effortlessly creating a casual, stylish and chic look for you. Various sorts of wooden bases with different colors and patterns of fabric thong are available. Feel free to ask the owner to let you try on your favorite pair. Owing to rich forest resources such as cedars and cypresses nearby, Hita is renowned as a city of wood, having developed its craftsmanship of traditional woodcraft goods. Every item such as a chopping board is one-of-a-kind with naturally formed beautiful wood grain patterns. They are absolutely great souvenirs for yourself or your friends. The restaurant’s building was previously a historic sake-storage architecture since 200 years ago. You can enjoy the ambiance in such a quaint hall while savoring their “Kaiseki” cuisine, a traditional multi-course Japanese dinner, providing a fusion-full-course menu (8 courses in total from appetizer, entree to dessert). The lunch set is also available. 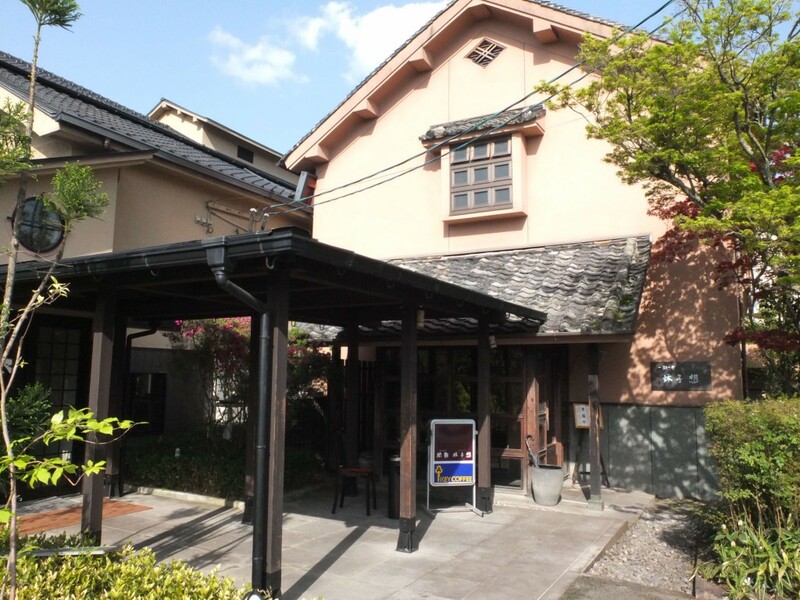 In addition, the restaurant is run together with a beautiful Japanese old-styled hotel called “Tokikosou” (under the same owner) in the same location. If you plan to stay overnight in Mameda Town, it would be the best option guaranteeing you a full traditional Japanese leisurely experience. 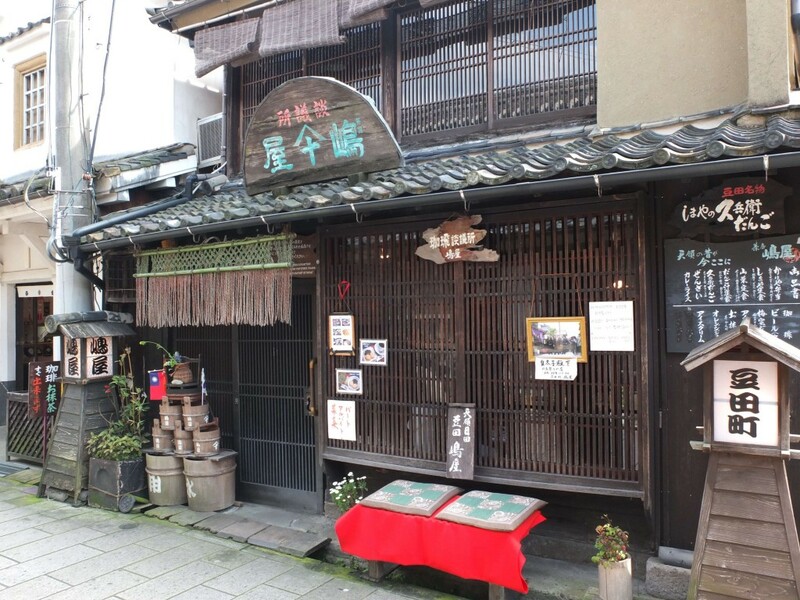 Nestled in a narrow alley of Mameda Town, this cafe is originally an ancient old merchant’s house built in 1876, preserving the indigenous and historic Japanese interior design. Have a seat, relax and enjoy the atmosphere and fascinating view of their garden outside the cafe. Savor a cup of “Matcha”, a finely powdered green tea traditionally used for tea ceremony, and “Dango”, palatable Japanese dumplings made of rice flour and served with sweetened soy sauce and red-bean paste. Access: Take JR Train to JR Hita Station. Around 20-25 minutes by walk, or 5 minutes by taxi to Mameda Town. Unlike my hometown, Hong Kong, in which historic architectures are not often appreciated and are easily demolished, Japanese people can develop a sense of enthusiasm and community-protecting passion towards their relics, evaluating them of overriding importance and taking the initiative to retain the vestiges of the town as a precious asset. Thanks to their efforts, no matter local Japanese or foreign visitors, we can have the opportunity to visit this ancient quarter which is almost without parallel in Kyushu. Living in the neighborhood, I passed by Memeda Town almost every day. Never would I be tired of looking at such an enchanting townscape reminiscent of its sublime stories in glorious days gone by.